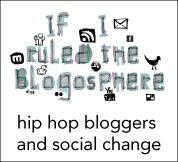 It’s been said that hiphop is the most influential cultural movement of the past fifty years. But as the once-marginalized genre has achieved worldwide commercial success, it’s easy to lose sight of the fact that hiphop was born out of the creativity of young people taking the tools of cultural production into their own hands. And many youth music organizations around the country still embody that community-focused spirit.